"10 Surprising Dangers of Vitamins and Supplements"
Are you still relying on vitamins to keep you healthy? Then you must not have heard the news! Over the past several years, results of many studies have shown that taking traditional vitamins supplements may be at best a waste of money, and at worst dangerous. 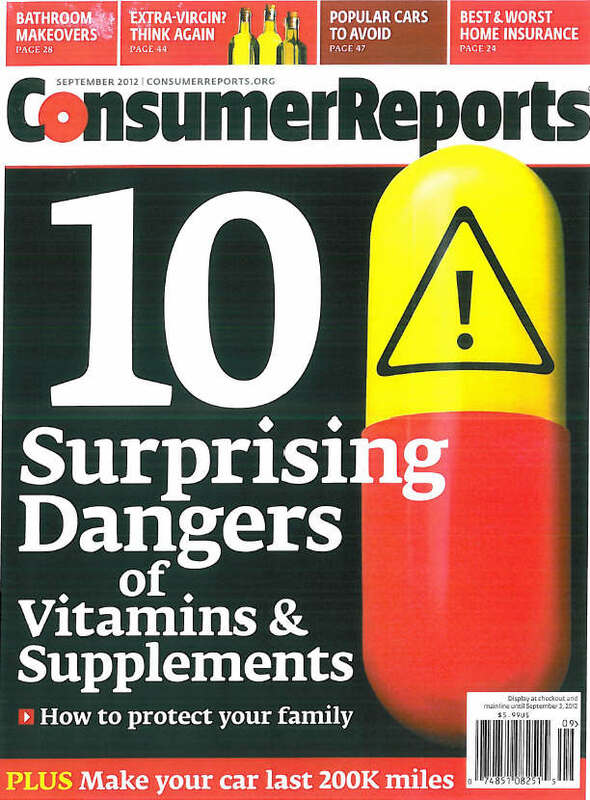 Reader's Digest in April 2010 ("The Vitamin Scam") documented the facts, and now a similar and more comprehensive article appears the September 2012 issue of Consumer Reports. Would you rather make your car last 200k miles or your body last 100+ years?! Juice Plus+ is whole food based nutrition in a capsule or chewable; Juice Plus+ is not a vitamin supplement. Juice Plus+ is also backed by solid research with 25 published studies proving that it works.